Woodhouse Grove School welcomes applications from International students. Some believe a school is best located in the countryside, others that it should be close to a town. Woodhouse Grove has the best of both worlds. Despite being located less than five miles from the centre of Leeds and Bradford and only five minutes from Leeds/Bradford airport, neither is visible - or audible. 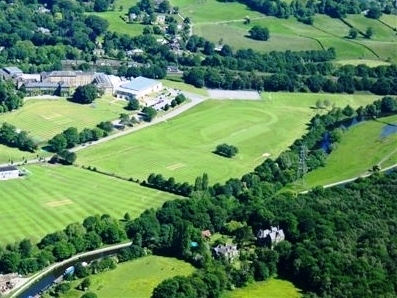 Screened by woods, the school's safe 70 acre campus sits in the broad Aire Valley in Yorkshire and enjoys a lovely rural setting which belies its convenient urban situation. •	Apperley Bridge has its own railway station just across the road from school. In the first instance, parents are encouraged to speak to our Boarding Admissions officer,Jo Amos about entry requirements and should then complete a Application Form. As a community, Woodhouse Grove benefits enormously from the diversity of cultures and nationalities of students who come to the school both as day pupils and who live in our boarding community. Whilst the number of international students is never any larger than 5% of the whole school community, the fact that we have students living and working here from all around the world broadens everyone’s horizons and gives us all an insight into different cultures and attitudes. All transport to the school on arrival in the UK is coordinated by our Boarding Transport Administrator, Mrs Jo Wood. We can also support with booking flights home in the holidays. This provides parents with complete peace of mind that their child’s journey from door to door is as smooth as possible. 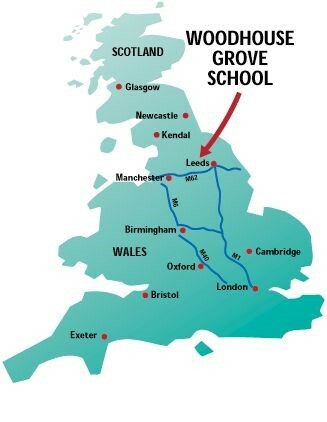 We ensure that all of our overseas students are involved in a carefully structured induction to the school and will be given an English speaking mentor to help ease them into life at The Grove. Of central importance is that they feel welcomed and supported and that they are able to play a full part in the academic, social and co-curricular life of the school.